Father’s Day June 17th is just around the corner and that day is also significant in the world of golf being the final round of the U.S. Open at Olympic Club in San Francisco. 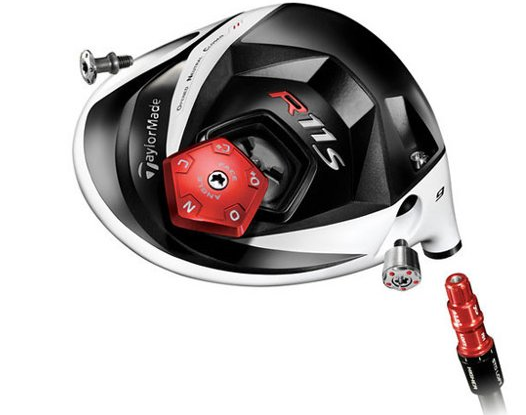 With that in mind here are some ideas for gifts to a golfing dad that won’t break the bank but will put a smile on his face. The Caddyshack golf towels from Devant Sport Towels are neat with two well known paintings by artist David O’Keefe; , Bushwood – A Tribute to Caddyshack and A Cinderella Story. Sixteen by 25 inches terry cloth for $24.95. 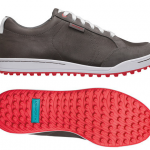 Ashworth Cardiff golf shoes are designed to combine the usual golf shoe with a more casual wear shoe. 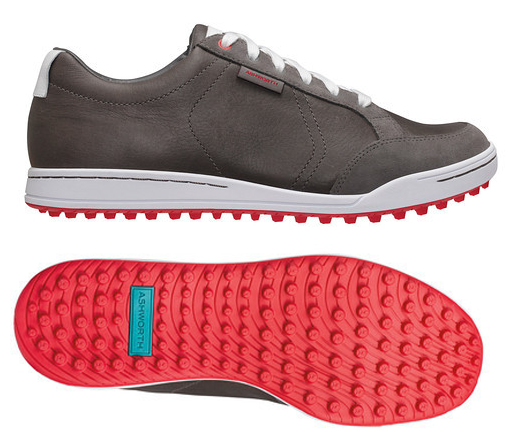 The have a tumbled, full grained leather two year warranty waterproof upper with a soft molded rubber outsole for comfortable wear, low profile without traditional golf spikes for $120. AHEAD is putting emphasis on sun protection with their Sun Protective line of shirts with a UPF 30+ rating and golf hats with a UPF rating of 50+. The shirts are made of performance polyester that in addition to the rated sun block properties has moisture wicking and odor management for $65. Sun protection for the eyes is a must most days but quality protection can be reasonably priced and good looking to. Tifosi Optics makes just such sunglasses. Their whole line is stylish, functional and affordable with special lens technology to aid seeing contours on the greens. Slip resistance ear and nose pieces and interchangeable lenses complete the package. 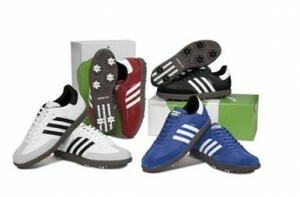 Tifosi models are priced at $49 to $69. If dad likes to walk his rounds the TriSwivel Push Cart from BagBoy with a swiveling front wheel is a great choice. 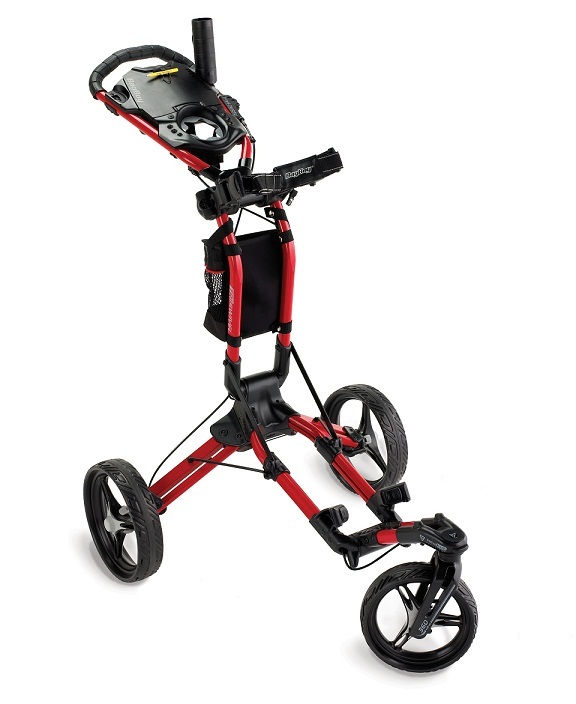 It has a one-step handle adjustment, handle mounted parking brake, oversized storage bag, scorecard, umbrella and integrated beverage holders with oversized wheels. Easily folds for storage and has a suggested retail of $270. The adidas Samba shoe was first introduced in the 1950s and became famous as an indoor soccer shoe but has evolved into a classically styled golf shoe with a suede toe-guard and tan gum sole equipped with six cleats for $100. If you’re going to buy dad a new driver the TaylorMade Golf R11s is this a great choice. The recognizable white clubhead has a combination of 80 weight adjustments and settings to individualize the club to dad’s particular swing. It sells for $400 and there are complimentary fairway woods, hybrids and irons as well.